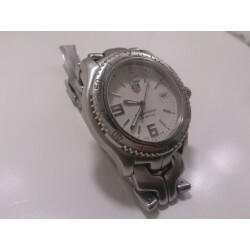 For sale now we have a Tag Heuer Professional WT1112 stainless steel men’s watch. 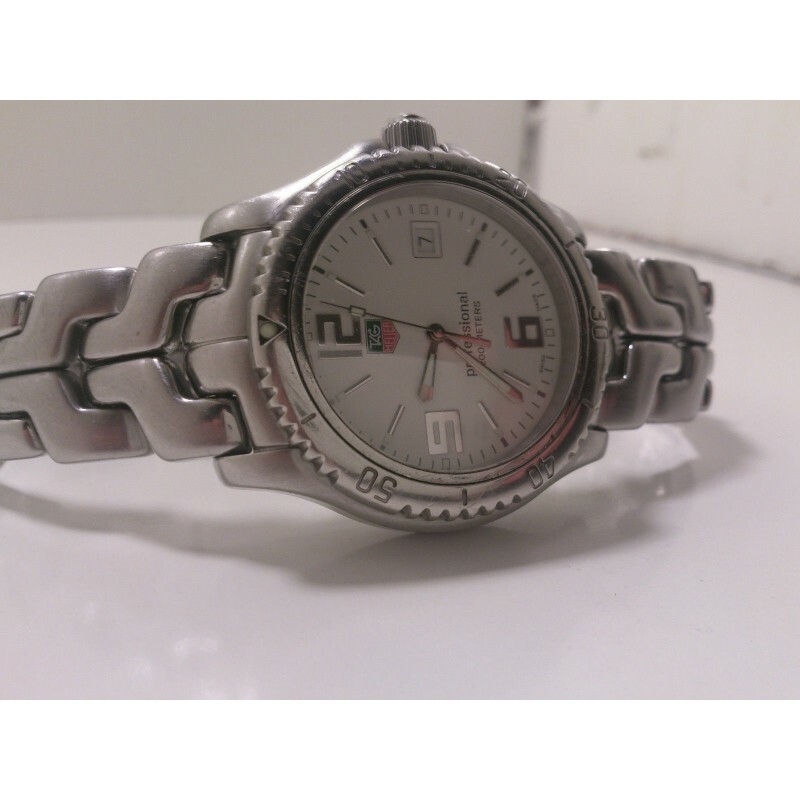 This watch is in good shape with little wear or tear. This item is all original and it keeps great time. a brand new battery replaced prior to listing and the watch keeps accurate time. 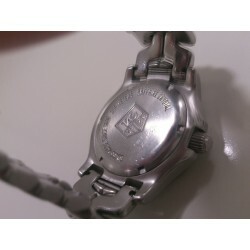 This is an authentic Tag Heuer and it has been checked prior to listing. 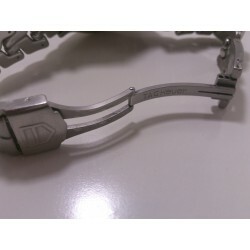 It is solid stainless steel. It has a white dial, adjustable date, stick hour markers, and quartz battery movement. This is a great watch! Please be sure to check out all of the pictures prior to purchase. The following are the measurements of this watch: side to side appx 42.7mm, lug to lug appx 45.2mm, dial diameter appx 29.5mm, case thickness appx 13.2mm, band width appx 22mm, and wrist size is about 7 1/2”. If you have any other questions prior to purchase please feel free to ask. Thanks for reading our description and buy it now before it is too late. The watch comes with no box or any other accessories.